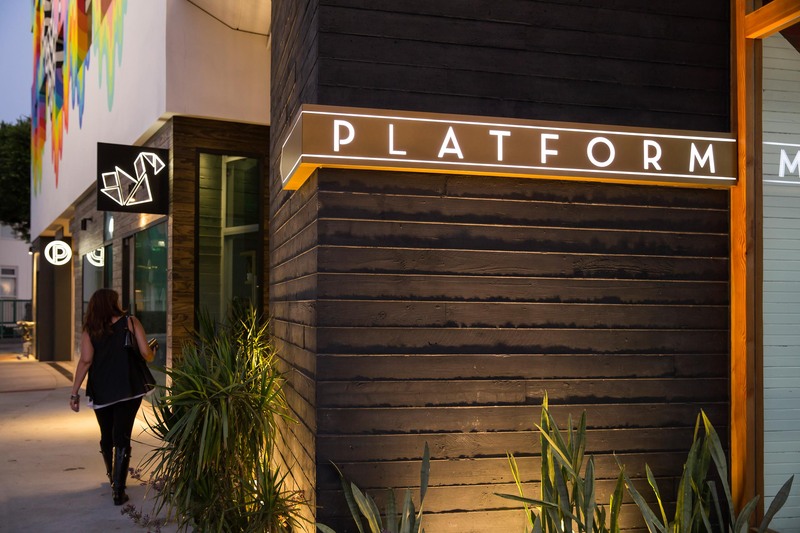 Like the name suggests, Platform isn’t a single entity like a shopping mall or office park, but simply the canvas on which individual chefs, merchants, and creative companies will seek to make their own statements. They will all commingle in a truly unique architectural setting that was a four-acre auto dealership half a century ago. 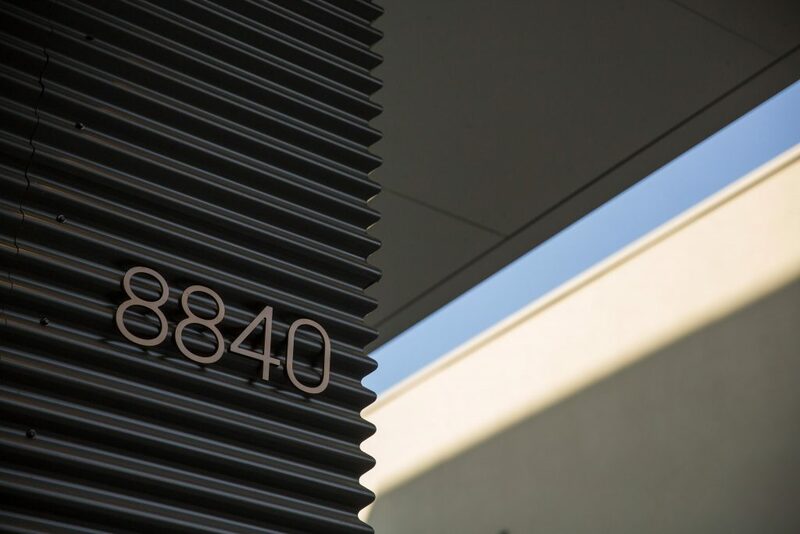 Rios Clementi Hale Studios created the signage and wayfinding systems for this one-of-a-kind development in Culver City. The design concept was a curated collection of building types which meant that not all signs we designed had to be the same. 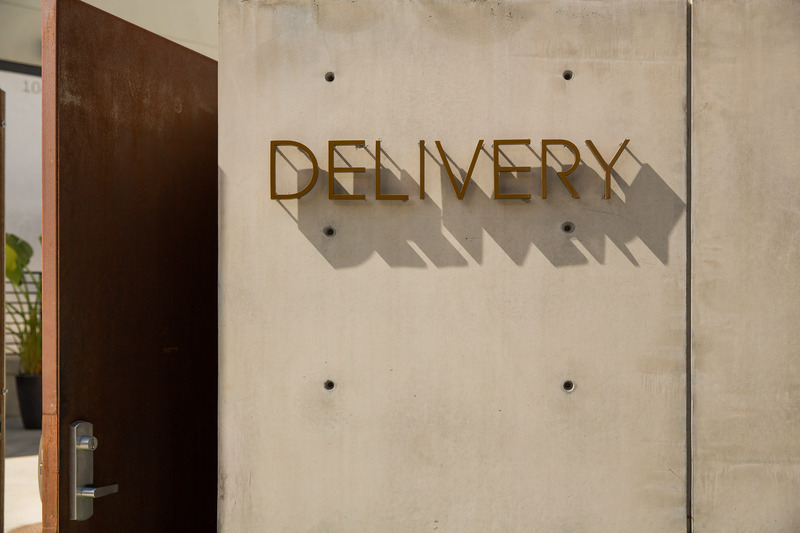 That gave us the freedom to blur the lines between signage, art, and architecture. Working closely with the project architects, we were able to weave many signs into the unique buildings and walls themselves. 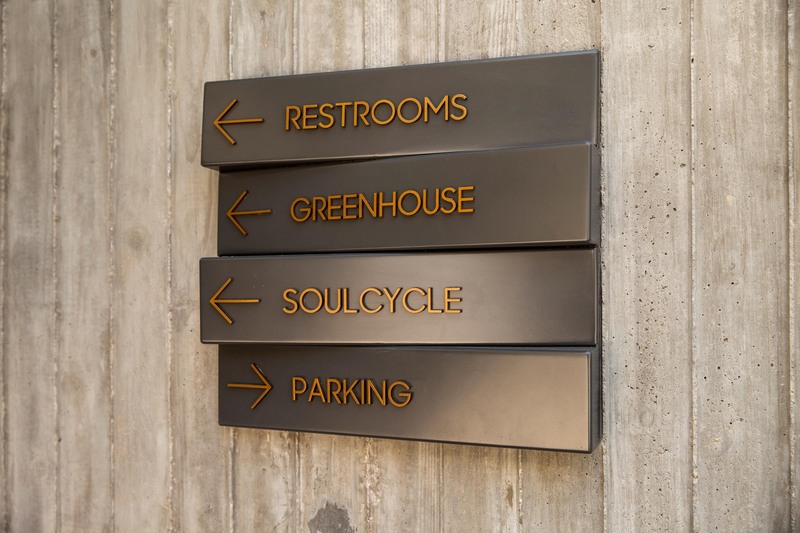 Signage guidelines give future tenants direction and flexibility when they added their individual voices to this diverse chorus. 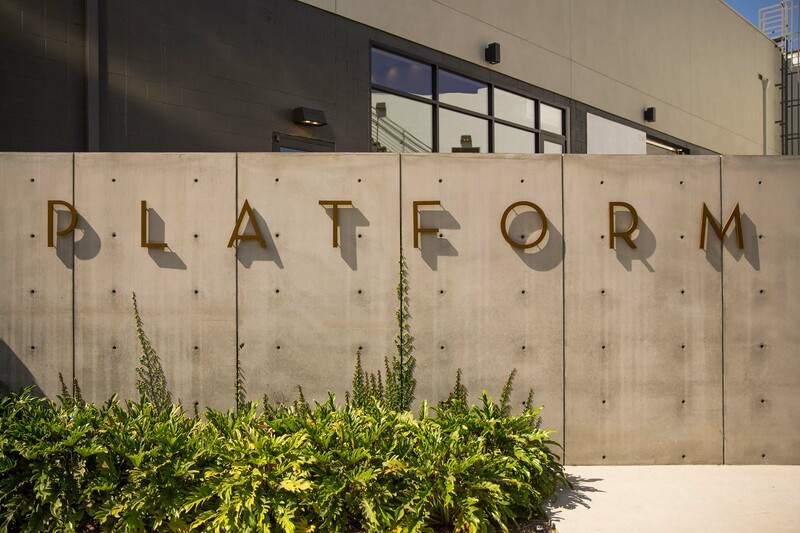 There is a uniform language including specified heights for blade signs, coverage details for window signs, and a materials palette to bring a baseline level of uniformity to all of Platform’s tenants. This system involved many more decision points than a typical shopping center. 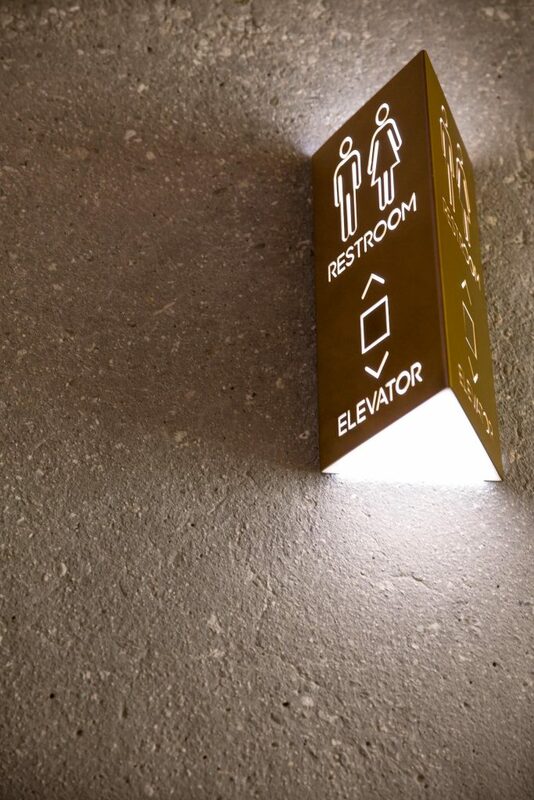 Its open air design and lack of a surrounding shell made designing the wayfinding systems a challenge. Extra thought was given to the various and unpredictable ways people might use the space, especially when getting to and from their cars. 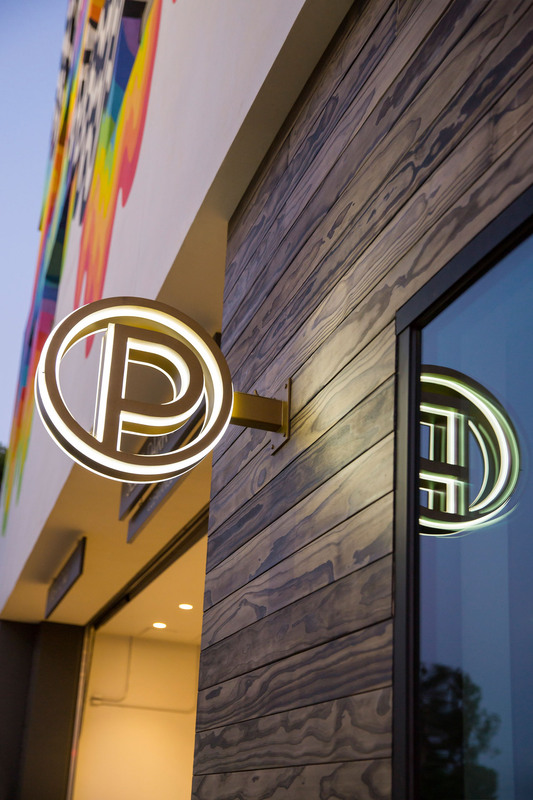 Ultimately, the signage and wayfinding is an example of Place-led Branding, contributing to an authentic spirit of place that is inspired by the place itself.